Is Millenium Transit Services still around? This model design will never work. The Rapid Transit Series "RTS" is an old model, need to think of something else. 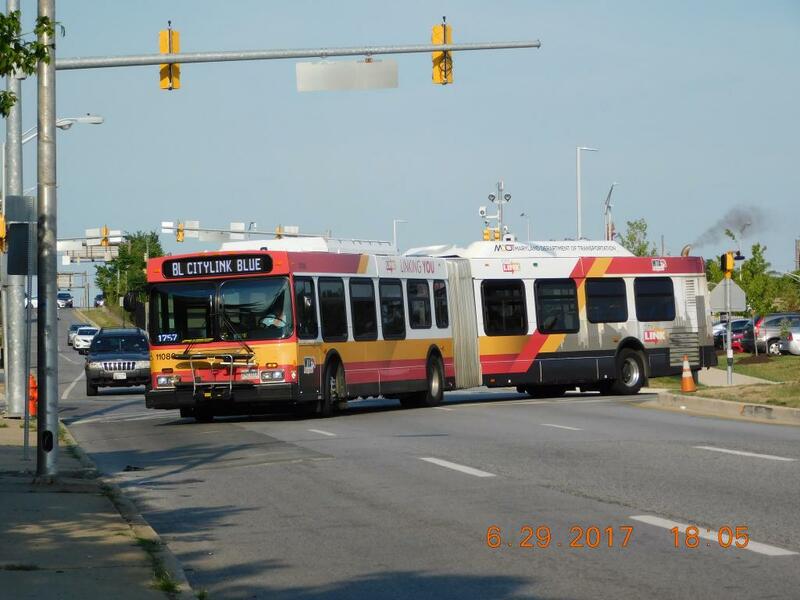 Should Charm City Circulator propose these routes? I would love to join a group of the best transit discussion website in the world!! I have proof of editing history from Wikipedia (free encyclopedia) under the alias MJofLakeland. 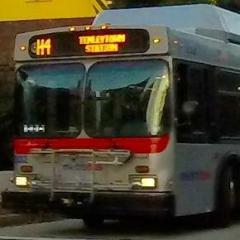 I have an editing history on MTA Maryland and WMATA Metrobus as well other Maryland area transit pages. I have recently edited many Los Angeles area bus systems. I would be a great part to this group I always have detailed information of my uploads on YouTube-MJofLakeland1. I know the MTA Maryland and Charm City Circulator bus fleet and current status very, because I work as an intern for MTA Maryland and the Red Line project. That is mainly the reason to join, but I can also start other CPTDB Wiki transit pages of the state of Maryland. As I send this request to you'll, I would love to join the group and you will not regret it at all. Should MTA Maryland begin studying Natural Gas as a alternative fuel? Yeah sorry, I put diesel and diesel-electric hybrid in the same category as "DIESEL". I get your quote that more maintencance would be needed for natural gas buses. 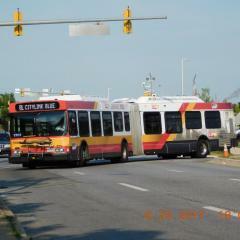 And yes that MTA Maryland and riders like me is pleased with the hybrids performance. The 2006 DE40LFRs haven't had many ultimate issues for a while now, and in fact the 2004-05 D40LFs been performing past their expectations. I believe the city is really happy of the hybrids lessening concerns and problems in motive transportation when service is at their fulliest potential unlike 8-10 years ago with the Flxibles (20 years of service). The MTA Maryland has long been a diesel fuel propelled organization like many others. But like Washington Metrobus, Ride-On, New York MTA, and Boston's MBTA they chose alternative sources to be environmentally friendly, save on fuel consumption, and price of cost-per-mile on buses. Like many who alternated diesel with CNG fuel has have success for the past years. I believe the MTA Maryland is choosing not to study that alternative because of the LNG project that fell through with the Flxible Metro D "LNG" model in the mid-1990s. We know now that liquefied gas can easily evaporate and not recommended for anyone who has no experience behind the helm. Since then natural gas has stepped-up to be efficient and properly handled, as well, more technological studies behind it. The MTA Maryland is ready to make the next big step with the Red Line project completion around 2019-21 and to propell Baltimore from the underdog position to the recognized household names. Alternative fuel source definitely stands out from the regulars and can prove efficient to the city. Poll - Who do you think will win the Valley Metro Phoenix contract? The reason New Flyer will win the contract is because, they bring more into their production like: reliability, guarantee performance, more custom designs, and recent orders. Needs to step-up with New Flyer Industries: *NABI - More customization of the Transit operator from it's standard design features. New bus model. Improve perfomance and reliability similar to New Flyer's Xcelsior model. *Gillig - Larger advance engineering and Gillig characteristic features, rather a set-up of pieces in the interior. *ElDorado - Axess model advance technology and engineering in the fuel consumption and reliability from other Manufacturer's models. Since Orion buses are not around any more, the (CNG) market has fully gone in favor of New Flyer since it's XN40 and XN60 "Articulated" models is gaining an increase in orders. NABI is a best second choice to Transit operators, like "LACMTA", who has a decade history of all NABI models running off natural gas fuel. In the near future, the NABI 45C Compobus may either be replaced with another 45-foot model which is more than likely Motor Coach Industries department for rural, highway, express service, and not only that, possibly a 40-foot model such as the D4005 model. The 45C Compobus has not changed rather the switch from a Detroit Diesel Series 50G engine to a Cummins Westport ISL-G engine. That switch was made long before by New Flyer with the variety of Caterpillar, Cummins, John Deere, and Detroit Diesel Series 50 and 60 engines respectfully. This statement is more towards NABI improving on it's basis and remodeling it's features to have a contract competition with New Flyer's already, highly successful Xcelsior model. And NABI is not even a consideration to the (Hybrid) market, which we all agree is not a gap between HybriDrive systems. And once again Orion was the only valuable competition to have a Transit agency increase "that it's not in favor of New Flyer Industries." Gillig is the only known prospect to increase odds of orders, because it's cheaper and meant only for small market transit agencies, but you actually get what you paid for in the customization and interior for a cheap price, but you can say it's reliable and guaranteed performance for a long time.